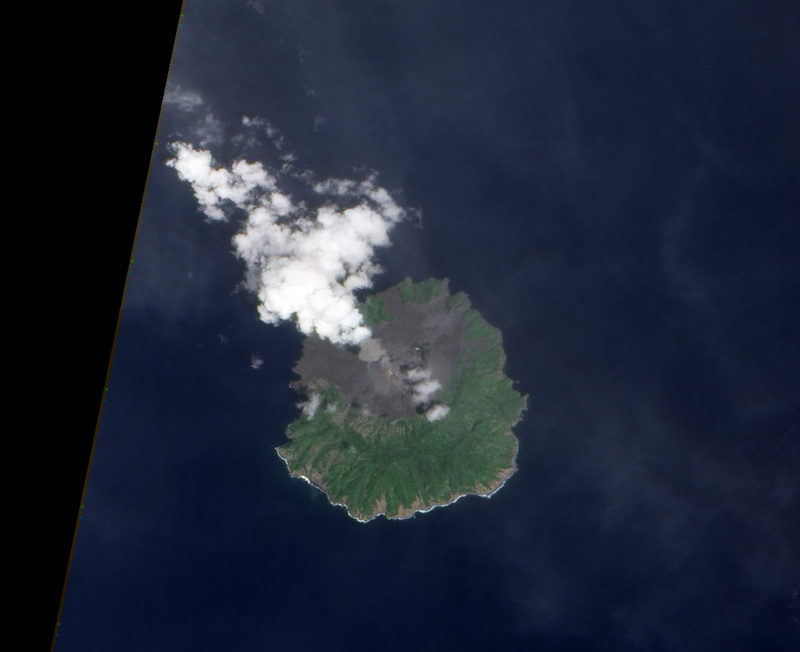 A plume of ash rises from Barren Island Volcano in this natural-color satellite image. The dark-gray ash cloud rises from a volcanic cone that fills the island’s central caldera. Dark, hardened lava flows cover the caldera floor, some extending to the ocean. Green vegetation covers the caldera rim and the outer slopes. Breaking waves line the southern coastline in white. Barren Island is located in the Andaman Sea, between the island of Sumatra to the south and Burma to the north. 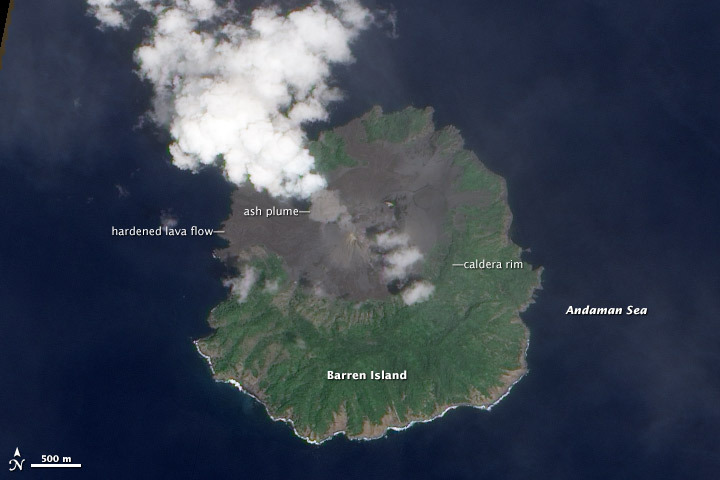 The remote, uninhabited volcanic island is not monitored directly, but the Indian Coast Guard, passing pilots, and satellites have observed lava flows and ash plumes off and on since 2005. This image was acquired on September 25, 2010, by the Advanced Land Imager (ALI) aboard Earth Observing-1 (EO-1). NASA Earth Observatory image by Robert Simmon, using ALI data from the NASA EO-1 team. Caption by Robert Simmon. 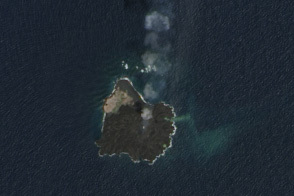 Remote Barren Island Volcano emits a small plume of ash on September 25, 2010. Global Volcanism Program. (2010). Barren Island. Accessed September 27, 2010.